La Roca Futbol Club is seeking motivated players who are eager to improve their skills and join Utah’s most successful soccer club! Placement on a team is determined by birth year AND skill level. 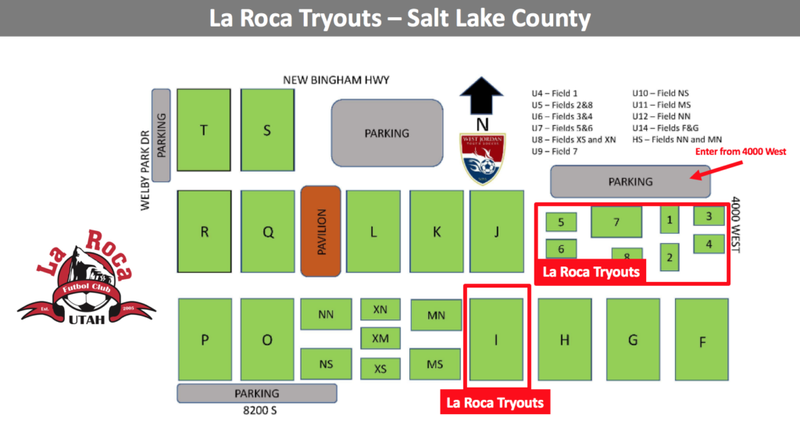 All existing La Roca players are required to attend tryouts if they expect to be placed on a team. Players are strongly encouraged to attend BOTH DAYS of tryouts. Please understand that if your child accepts a position on a La Roca team, his/her family is making a one-year commitment to La Roca and is responsible for paying all fees. MANDATORY on-line registration opens April 1, 2019, and closes the DAY BEFORE TRYOUTS. $10 tryout fee for ALL participants, even La Roca players.